JUST a month after the Queensland Government legalised late-term abortion, Premier Anastacia Palaszczuk has given the green light for an inquiry into voluntary assisted dying. Speaking in Parliament on November 14, Ms Palaszczuk (pictured) said a parliamentary committee would hold hearings over the next year to determine the desirability of the act, and would report its conclusion to the legislative assembly by November 30, 2019. “In undertaking the inquiry the committee should consider the current legal framework and relevant reports, materials, and other Australian states and territories and overseas jurisdictions,” Ms Palaszczuk said. The probe will also review the Victorian Government’s inquiry into the end-of-life choices, including the Voluntary Assisted Dying Act (2017). The Victorian act indicates that a person may access voluntary assisted dying if he or she is the subject of a voluntary assisted dying permit. The permit would give the person access to a “voluntary assisted dying substance”, which can be self-administered. 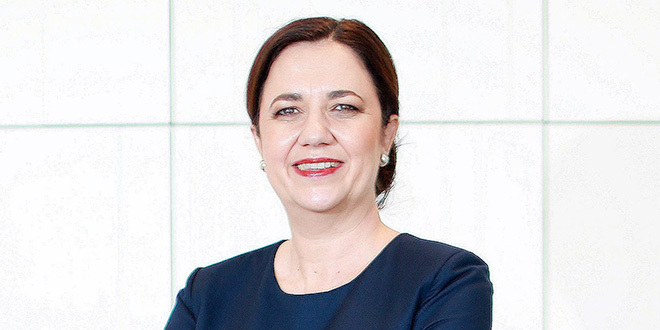 Green light: Premier Anastacia Palaszczuk. Although the permits would be issued within a tight medical frame, the Church remains resolute that “Whatever its motives and means, direct euthanasia consists in putting an end to the lives of handicapped, sick, or dying persons. It is morally unacceptable”. Brisbane Archbishop Mark Coleridge said he was not surprised the Palaszczuk government has decided for a parliamentary inquiry into euthanasia. “My hope is that this will be a genuine inquiry rather than political window-dressing,” Archbishop Coleridge said. 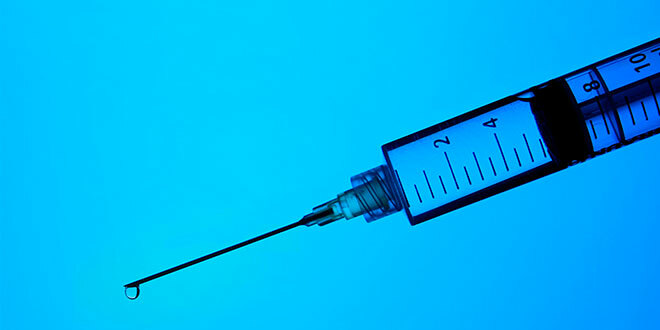 “Like abortion, euthanasia is an area where the language is notoriously slippery, so the inquiry will need to scrutinise the language carefully. “It will also need to consider the fateful implications of legislating in favour of assisted suicide – not least at a time when suicide rates, especially among the young, are of great concern in this country. Does it help at such a time for the law to say that assisted suicide is an acceptable option? “We all agree that compassion for the dying is crucial and that everyone has the right to die with dignity. “But compassion and dignity don’t mean legislating for assisted suicide. Archbishop Coleridge said the Church would not engage the issue as a lobbyist or activist, but precisely as the Church, “armed not with an ideology but with the power of the Gospel of life”. “And we will do so not just in defence of our massive presence in health and aged care but out of concern for society as a whole, because euthanasia, like abortion, goes to the heart of what kind of society we choose to be,” he said. 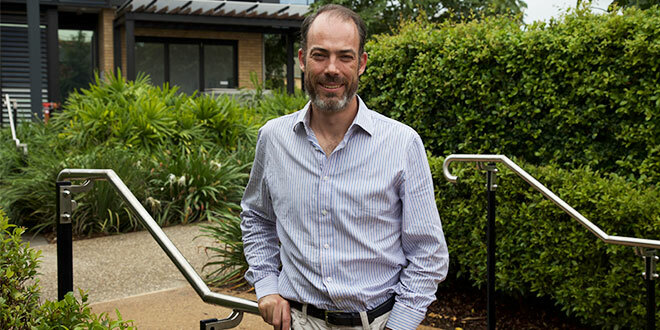 Queensland Bioethics Centre director Dr David Kirchhoffer said the act provided Catholic Health Care with an opportunity to demonstrate why it provided excellence in end-of-life care. Ethical stand: Dr David Kirchhoffer. “If we claim that the palliative care services that we provide are superior to opting for voluntary assisted dying then we should be able to demonstrate that,” Dr Kirchhoffer said. “This goes beyond aged care. “Concern for how we make meaning in the process of dying is a really important conversation. “We probably don’t have enough of this conversation and this inquiry provides an opportunity for people to really think about it. Dr Kirchhoffer said there was an opportunity now to have an “open, frank discussion about how we understand the meaning of death in our society”. “There’s an opportunity to really think about what we understand by dying and how we make moral meaning through that process,” Dr Kirchhoffer said. “The parliamentary inquiry will go through its process.